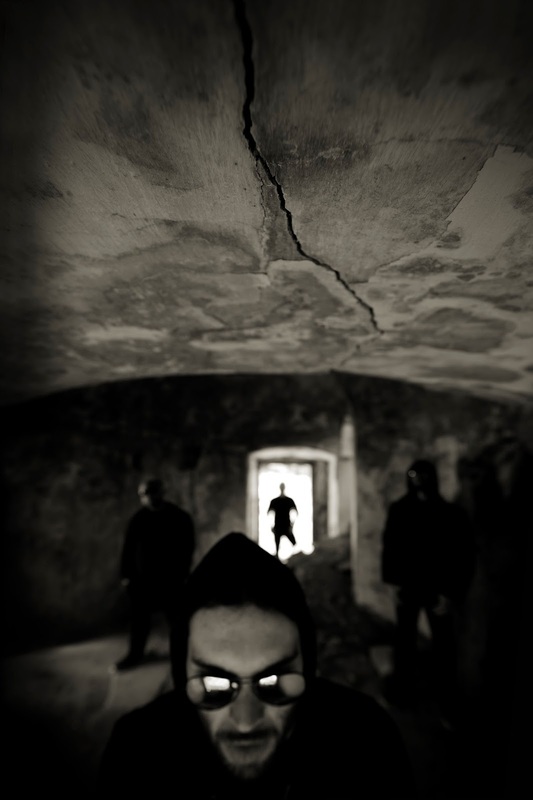 Having perfected their distinctive and inimitable musical expression along a path that spans their 10-year long career, Process of Guilt are today one of the main driving forces on the Portuguese underground. 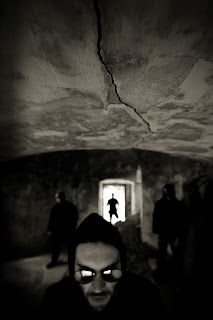 Delivering massively heavy riffs on top of a punishingly precise, quasi-industrial, rhythm section, the band possesses a unique intensity that attracts listeners from a broad spectrum of music genres. Vastly experienced when it comes to playing live – having even shared the stage with bands like Godflesh, Cult of Luna or Napalm Death – their performances are pure displays of ferocity that leave no one indifferent. 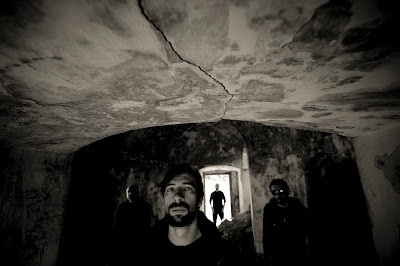 With the release of their third full length 'FÆMIN', in 2012, Process of Guilt finally took the long deserved leap to international recognition and acclaim – the album granted them two headlining European tours and a spot at the 2013 edition of Roadburn Festival in Tilburg, where they played to a full and enthusiastic crowd at the legendary Green Room. Hi guys, This is Sam and this will be my first interview for The Pit of the Damned. 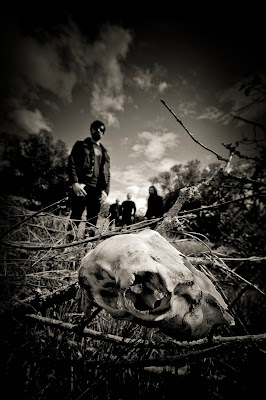 I have to admit that I am very pleased and honored to speak with you as Process of Guilt is one of my favourite band as per your incredible mix of heavy and claustrophobic death, doom and sludge. I would start asking to introduce the band to those who may not know you yet? How Process Of Guilt was born? Could you tell me more about the history of the band? Hi Sam, thanks a lot for getting in touch with us. I’ll try to sum up our almost 14 years of existence in the next few lines. Process of Guilt exists since late 2002 when me and Nuno got in touch with Gonçalo and Custódio in order to start rehearsing as a band. After that initial period, a couple of demos were tracked, and then in late 2006 we released 'Renounce' our first full-length, followed by our first split collaboration, the 10’’ with Caïna. In 2009 we released 'Erosion', our second full-length, and by this time we were already playing at the main underground festivals around Portugal and sharing the stage with with acts as diverse as The Ocean, Intronaut, Minsk, A Storm Of Light, Katatonia, Napalm Death or Rotten Sound. In early 2011 we released 'The Circle', an EP made of 5 remixes of the last track of 'Erosion' made by Sanford Parker, Echoes Of Yul, DJ Mofo, Bosque and Sons Of Bronson and mastered by James Plotkin. 'FӔMIN' was released in 2012 and it meant for us a significant development and, somehow, a departure from our previous efforts. In our quest for a more intense musical approach we developed our sound into something more aggressive, blending an almost industrial feeling with a more organic approach creating an album that, today, still fits to our present tastes and musical intentions. By then, we started collaborating with labels outside Portugal to release the various formats in which this album was made available to the audience. Considering our particular lives, the entire 'FӔMIN' circle was very busy. We toured across Europe a couple times and ended up playing in some great festivals like Roadburn Festival (Tillburg) and getting main stage slots at some festivals in Portugal like Amplifest or Reverence Valada. In late 2014 we released our second split, the 12” with Rorcal, followed by an Iberian tour with them to promote this release. Right now, we’re in the process of writing a new album that we hope to track still this year. One of the aspects of your band that has always fascinated me is that your sound, even remained heavy, and without betraying your own trademark, it has constantly evolved, album by album. How do you think your sound has evolved over these years? Our only purpose is to make meaningful music to us and mostly that translates into writing intense, dark and heavy songs. Our first releases were somehow a portrait of what we were back then, but it’s fair to say only after writing 'Erosion', we found a more distinctive way to express ourselves. It was through that experience when we started to paving the way to what we felt was more in line with what we really wanted to create. 'FӔMIN' was the direct result of this process and it’s probably the first record that sounds very similar to what we had envisioned before entering the studio. A lot of factors were aligned for this but surely Andrew Schneider’s mix and Collin Jordan’s master were crucial for the massive sound we were aiming for. "LIAR", our contribution for the split with Rorcal, represents yet a step further into a bleak sonority and is probably the most distant track from our first works. All in all, we like to think that our music evolves at a similar pace of our individual lives and musical tastes. We envisioned our musical expression as a continuous evolution, just like our individual lives. Your latest work, 'Faemin', is what in my opinion is more centered and focused on your own sound; four years after its publication, as you judged it? What would you change of it and what would you keep? 'FӔMIN' is our latest full-length and it’s a fair rendition of where we were at 4 years ago. A lot happened since then and I’m sure our next album will not be a version of 'FӔMIN', but this album established the basis for what we want to build still at the present moment. Somehow we defined our musical identity in the last four year around this release and right now we’re still happy with the way it came out. In these last years, you released a few compilations and split albums with other bands (Caina and the last one with Rorcal), why this choice? Do you think that collaborations such these, could enrich and expand your style? Will be there other collaborations for you in the future? This sort of collaborations allow us to experiment our music differently from a full-length environment. We try to make these releases with other musical acts, with whom we share a similar vision, in order to achieve a cohesive result that can simultaneously work as a stopgap between full-lengths allowing us to keep our creative endeavor going in a more "uncompromised" way. Of course we look at these releases also as opportunities to enrich and expand our vision and "LIAR", our track in the split with Rorcal, is the obvious reference. In this track we developed a full concept for its three parts in which Kernal (JP from Rorcal) was determinant for the final result, since all the ambiances and atmospheres were made by him as well as the final mix of the entire split. It surely gave us another layer of “noise” to possibly explore and to develop in future releases. You previously said that you are currently working on new material: could you let us know some previews about that? Is there any change in your sound, any surprise? Right now we’re in the final stages of the writing process of our next full-length, hopefully to be recorded still in 2016. As usual, only after getting into the studio we’ll have a more concise vision about how it will sound, but for now our aim is still the same: writing intense, scathing and appealing music, if not for others, at least for us. We’re still into searching our own balance between dynamics and atmosphere, but for now it’s starting to sound bleak and powerful, so I guess it feels like we’re on the right track. What shall we expect in the future by Process of Guilt? In the near future we'll enter the studio, probably early in this next fall, and then our focus will be the new record. Given this, I expect that 2017 will see us touring again in support of this new release. We have plans for a new split after the full-length, but we like to take one step at a time, and for now our main objective is to release 'FӔMIN'’s successor. Where was the inspiration to write a song of Process of Guilt born? Is the origin of so desperate and gloomy lyrics sourced from your personal inner anger or is it even influenced by events of dailylife? What about the content of the new lyrics, are those addressed in the same direction? A Process of Guilt song always start with a riff or a basic idea for a rhythm pattern, that provide us the basis to build something around it. Sometimes it works and we reach the point where the track acquire its own life and we just have to go with the flow until the end, and sometimes it doesn't come out as easy as that. It’s not an easy and fast process for us, actually it’s quite the opposite since each time we’re getting more and more demanding with our own ideas. Most of the times, if something's not with the right feeling for the bigger picture we're pursuing, we abandon that idea and start all over again. The lyrics process is a little bit different given that our "method" requires that the overall mood of the instrumental part is already present. Usually, they are built around some main ideas, usually based around some relation or reaction that permeates my daily life and, afterward, there is an effort to match the music’s feeling to the lyrical meaning. The new lyrics are built around the same process, this time, perhaps, with a more personal conceptualization. Could you tell us much more about the video of "Faemin"? How was that experience, I imagine that was not so easy to produce a so long video, wasn't it? Will you repeat such experience? Actually we didn’t produce a video for 'FӔMIN', it was made by a generous fan, and I only saw the video after it was already online. So, there’s not much more else I can add to this subject. Nevertheless, it is really flattering that someone could use their own time to produce a video for a Process of Guilt track. In the future perhaps we could pursue this goal but, at the moment, the priority is to conclude our current process. 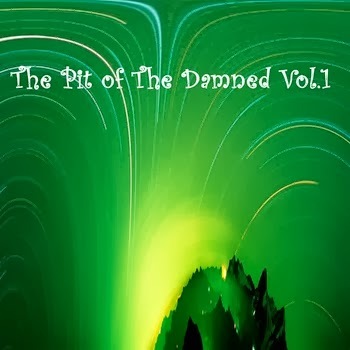 Let's change the topic: any Portuguese band to recommend to the readers of The Pit of the Damned? There are a few bands worth to give it a spin, for sure. Given its geographic dimension Portugal is a very prolific country in what concerns to extreme and bleak music. There are guys playing there guts out in a bunch of varied styles, but I’d recommend you to listen to Wells Valley, Bosque, Utopium, Löbo, The Firstborn or Sektor 304, and, if you’ve the will to explore the portuguese language, you definitely should check Mão Morta and Bizarra Locomotiva. Do you have other interests in the arts besides music? Besides music I have my daily work within the area of landscape and urban planning and environmental assessment, and it’s interesting enough to keep me going on a daily basis. I like to read about history, politics, spirituality and, from time to time, some historical novels, besides that, I also share a common taste for some of the latest tv series, since right now most of the great arguments are build for this format, and, of course for movies. And now, at the end, a simple (it is never simple, I know) “desert Island list”: three books, three records and three movies you can’t live without. I tried to answer this question for a while and it’s always a choice that tends to infinite, so it’ll not be cool for me to read these lines again feeling frustrated about my own choices, as they are always evolving and I'm sure I'll forget something that afterwards I'll consider essential. Having said that, in order to provide you with a more "proper" answer, instead I can tell you that the last book I bought was Homage to Catalonia' by George Orwell, the last movie I saw was a tv rerun of 'The Wolf of Wall Street' and the last album I bought was "No One Deserves Happiness" by The Body. The last lines are for you: feel free to say whatever you want to your fan and especially to the readers of The Pit of the Damned. 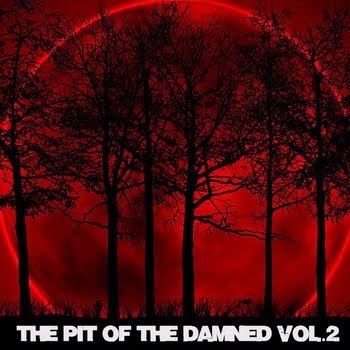 We welcome every opportunity we have to talk about our music and this case is no exception, so our thanks goes to Sam and “The Pit of the Damned” for this interview. If the readers of this interview relate themselves with something approached in the above lines be sure to check our music out and support us live if we're in the neighborhood.